Although the facts of Last Monday’s incident have not been fully investigated, one question has risen above all others. Why didn’t this officer use another option in dealing with this situation? Our department is currently over 145 police officers short. That number is only going to continue to go up. Most of these vacancies are on patrol, where staffing is vital to insure that officers have more options when forced to make split second decisions. Our inability to hire officers has led to this shortage. For months we have responded to complaints from Patrol Shifts about not having funds to hire overtime officers to fill vacancies caused by this shortage. We have gone to this administration and asked them over and over to deal with this problem before a tragedy occurs. 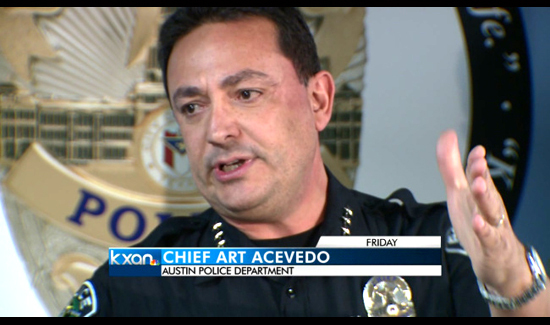 I am aware of the comments made by the Austin Police Association. While I respect their views, I will not be commenting any further. As stated last week, our focus is on a complete and impartial investigation, which we owe to both the Joseph and Freeman families, as well as the Austin community. VIDEO: No More Disrespect and Corruption!